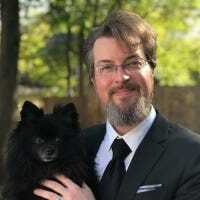 A good multitool is an invaluable asset whether you’re a computer tech, a rock star roadie, a back packer, a tradesman, or anything and everything in between. While we’d all love to carry every tool we might need with us, it’s not very practical to bring our favorite hand tools with us. In their stead, however, we can always pack a good multitool (even if we need to cruise through airport security along the way). The following collection of tools includes our picks for the best-in-class, the best budget buy, and a few special uses cases in between. Whether you go with our suggestions or branch out and do your own research, however, we’d urge you to keep a few thing in mind. When it comes to multitools you absolutely get what you pay for. Shop brand name (skip brands you’ve never heard of and definitely skip no-name brands in gas stations and discount stores)—in the case of the Leatherman brand, for example, not only did they outright invent the multitool genre as we now know it but they’ve stood behind their quality products the whole way. Second only to shopping for quality, shop for (practical) versatility. A good multitool with a range of commonly used tools that will see frequent use in your home, work, or play is always more valuable than a multitool packed with oddball tools you may never get around to using. 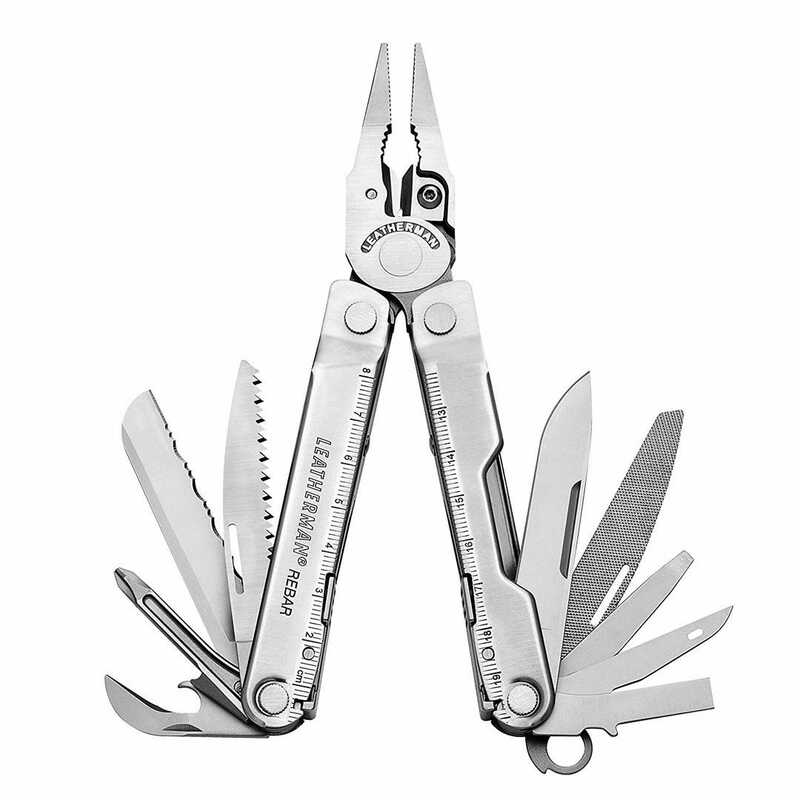 Despite a bump in price over the years, the Leatherman Wave is still the best dollar-for-dollar value in the full-size multitool market. It sports 17 tools, all of which, save the pliers, are easily accessed while the tool is still closed. Unlike the early Leatherman models where you had to open the entire assembly to access your tools, the Wave gives you instant one-hand access to all the tools (which all lock for safety, except the pliers). This gives you an experience with the Wave that is more like a beefy pocket knife and less like a cumbersome multitool. Speaking of knives and cutting, it sports a dual surface wire cutter, a wire stripper, a straight blade and serrated blade knife, a saw, and scissors, on top of the regular battery of multitool accessories like a bottle and can opener, large and small bit driver, file, and screwdriver. If your heart cries out for premium tools but your budget demands concessions, the Gerber Suspension Multi-Plier is your compromise. 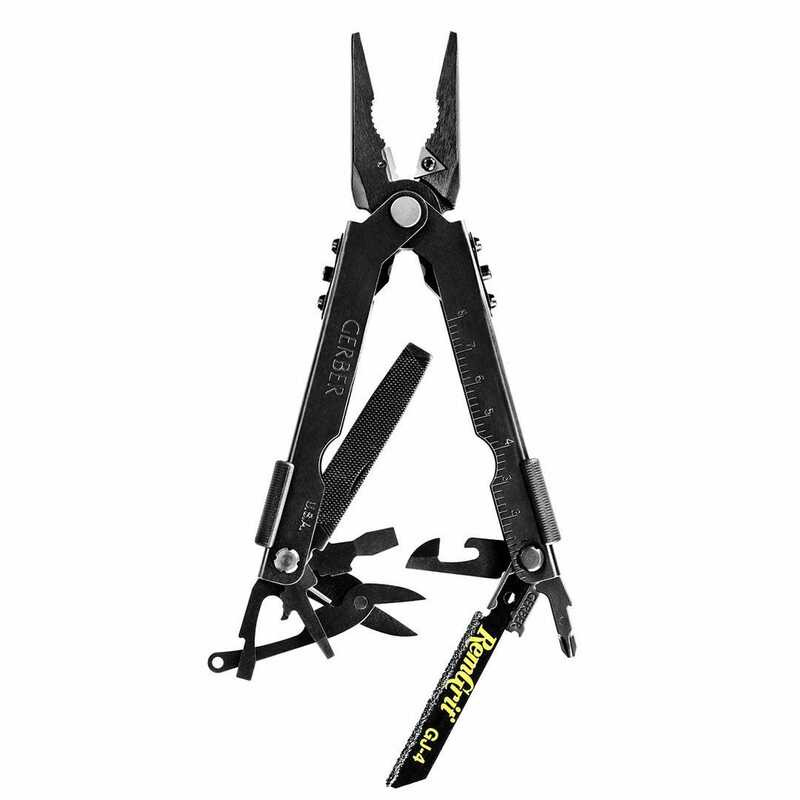 Do you get everything you’d get with a top-end Leatherman model? Absolutely not. 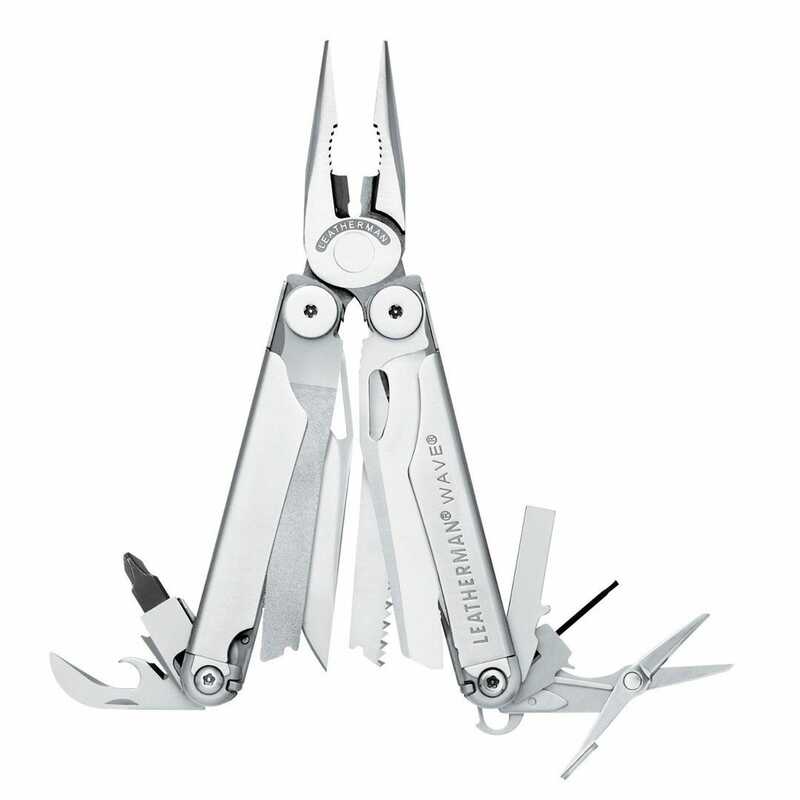 Do you get so much that buyers are frequently confused as to how such a nice full-size multitool costs so little? You sure do. It has 12 tools, all of which lock (save for the pliers). This includes a straight blade, a serrated blade, a saw, pliers, a wire cutter, three screw drivers (two different size flatheads and a Phillips), scissors, a bottle and can opener, and an awl. If you want extra functionality there’s even a $10 adapter and bit set that adds 9 bits plus the ability to use any 1/4″ bits you already have. The Suspension doesn’t allow for one-handed or closed-device access like the Wave, but think of all the beer bottles you’ll be able to afford to buy (and open with the on-tool opener) with the price difference. 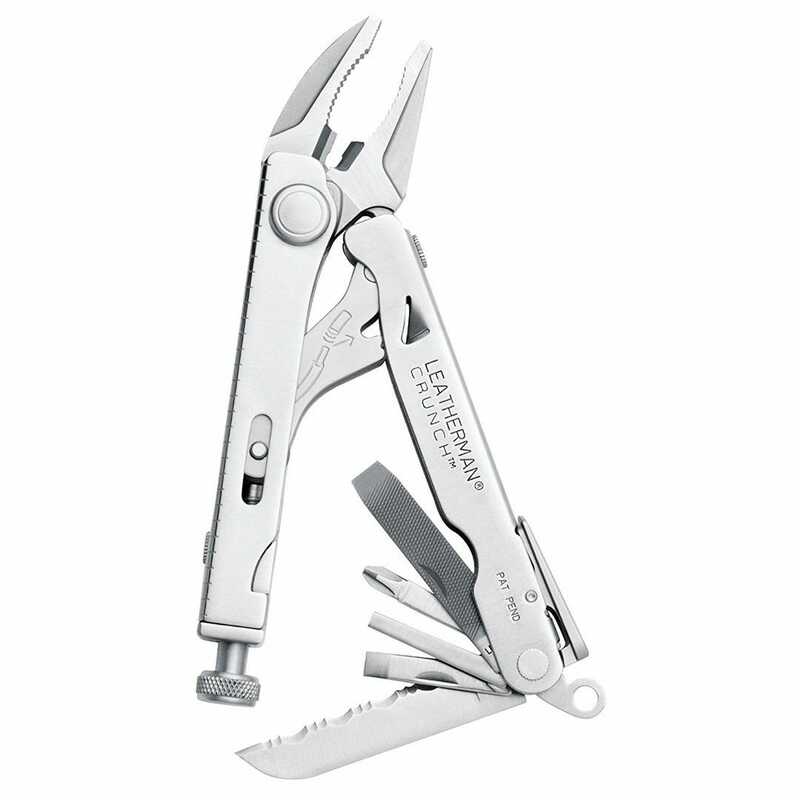 If deep in your heart-of-hearts all you really want to find in your stocking one year is a multitool that harkens to the dawn of multitooldom, then the Leatherman Rebar—the spiritual successor to the original Leatherman PST—is your pick. 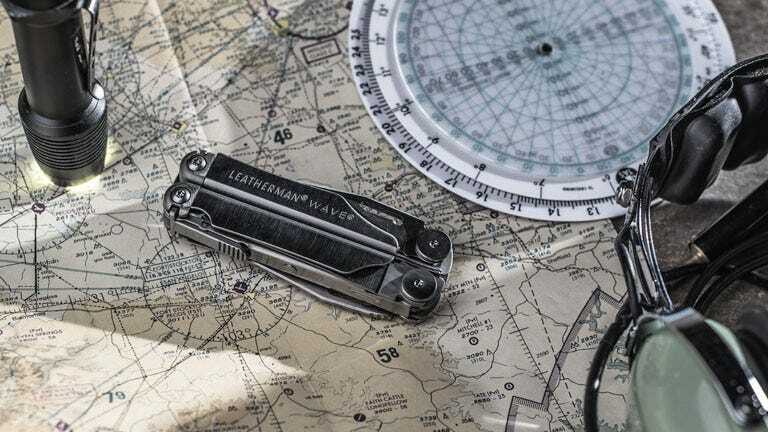 It might not have the updated design and modern influence of newer models like the Wave, but it’s a classic with the same solid construction and plethora of tools you find in other full-size Leatherman models. The Rebar sports fully locking tools including two knives, a saw, wire cutters with replaceable cutting edges, a wire stripper and crimper, a bottle and can opener, a wood and metal file, two flat head screwdrivers and a Philips screwdriver, an awl with thread loop, and, of course, the classic PST ruler design on the body. It’s a classic through and through. If that’s your niche, whatever your pipe-gripping and power-torquing needs are, the Leatherman Crunch is the specialized tool for you. It’s half Leatherman, half locking pliers, and all hefty build quality. The centerpiece tool is, naturally, the pliers but in addition you get wire cutters, a wire stripper, serrated edge knife, a 1/4″ hex bit driver, a wood and metal file, and four different screw drivers (a Phillips head, and three sizes of flat heads). And, for those of you that are, in fact, fly fisherman, the tip of the locking pliers has a pinhead vice—a very narrow channel in the plier head designed for gripping small round things like fishing flies and wire. When’s the perfect time to have a good full-size multi-tool? When you’re stranded on a desert island after a plane crash, of course. If you want to be prepared for anything you’ll need a TSA-approved blade-free multitool you can take on the plane with you—and the only full size one even worth looking at is the Gerber MP600 Bladeless. 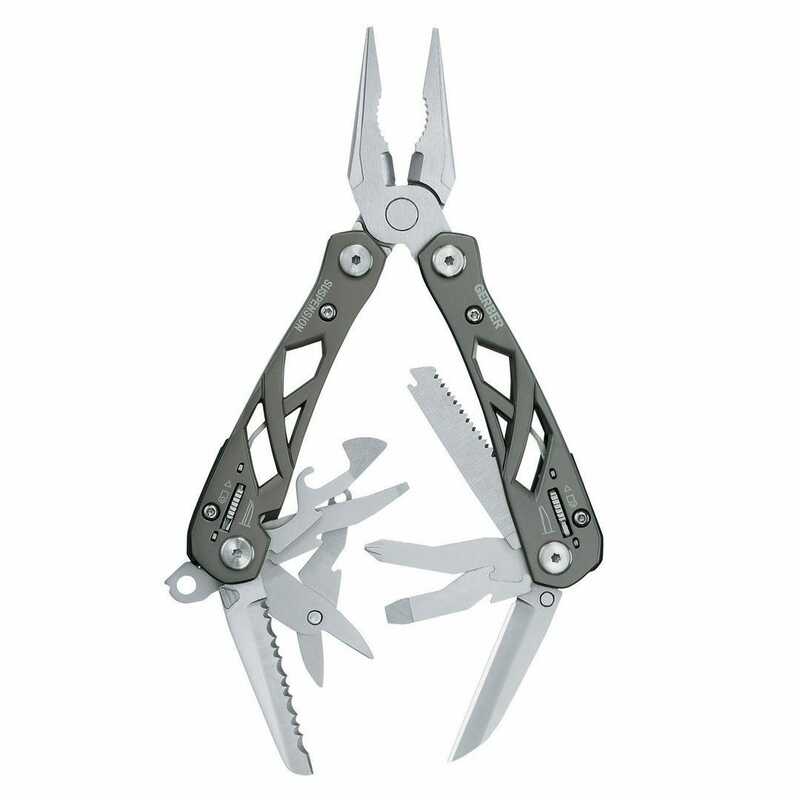 Designed specifically to comply with secure workplace no-knife policies, it features pliers and a wire cutter (with user replaceable cutting surfaces), the regular battery of locking tools like three flathead screw drivers, a Phillips head driver, scissors, a can and bottle opener, a file, and—in place of the traditional blades and saws—a removable “RemGrit” diamond dust jig saw blade. Not only does the grit-based saw comply with TSA regulations but you can also swap it out with any similar sized jig saw blade when you’re not flying.